On the tab “Places”, just to the right of this page, you can get detailed information on places of interest; town, cities, historic ruins, bullfighting arenas, tapas bars, natural wonders and outdoor activities. 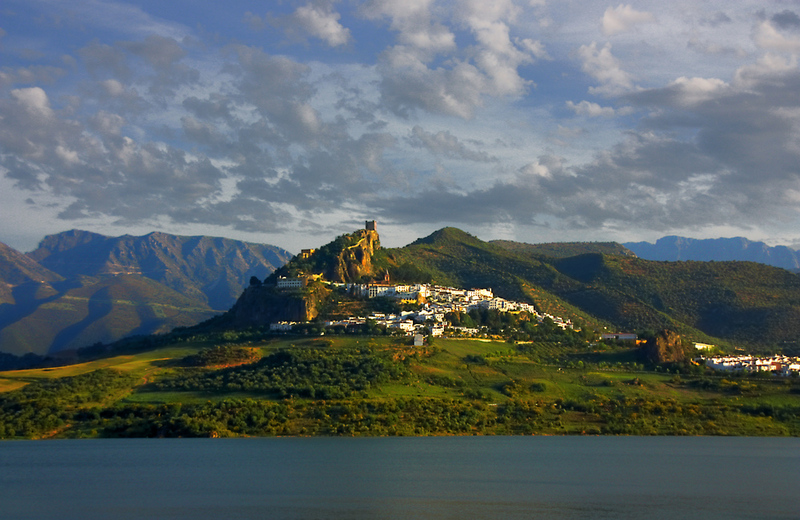 Visit the villages of Grazalema and Zahara de la Sierra (the house is located between thesetwo villages, 8 km from each one of them). Stroll along the streets where time stands still, indulge in the gastronomy of the region, and those traditional products that have managed to preserve over the years, a true real pleasure! Ronda is one of the most important cities of Andalusia with an unparalleled cultural richness and only 20 km from the house. It is amust for first timers. For those coming from outside Andalusia and abroad, you should know that cities such as Seville(the Giralda and Flamenco), Marbella (beach, golf and jet set), Granada (the Alhambra), Cadiz (beautiful coast line), Jerez de la Frontera (famous wineries and Andalusian horses) or Gibraltar are only an hour away and can be easily visited. Morocco is a short hour by car, and another hour by ferry – an easy day trip. 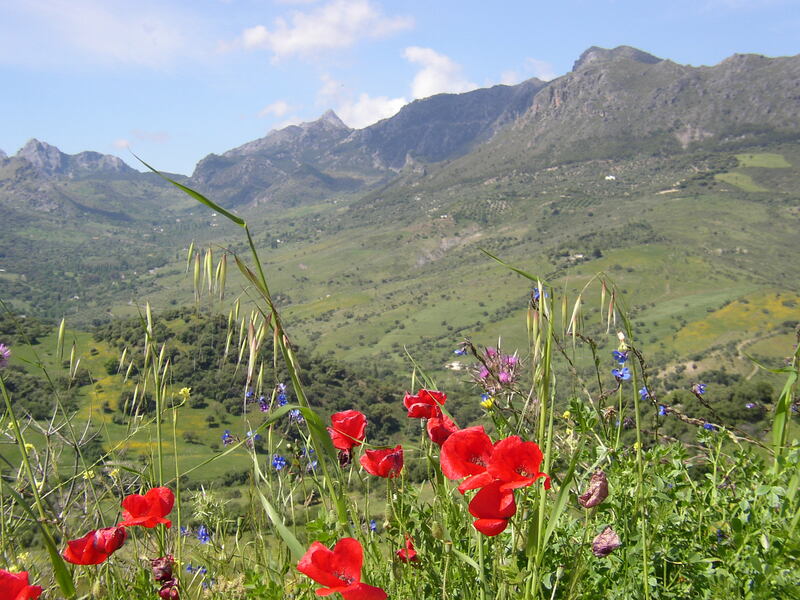 The activities offered in this area of Andalusia, whether cultural or outdoors, are very diverse. In this section we list most of them, and under “Places” the most significant ones. Hiking has its own tab, where trails and detailed information about them can be found. Near the House, just 2 km away, there is a horse stable. You can rent horses by the hour, take individual lessons or sign up for a horseback riding trail ride. There is a choice of half or full day rides, with lunch included - another great way to savor and enjoy the Park. 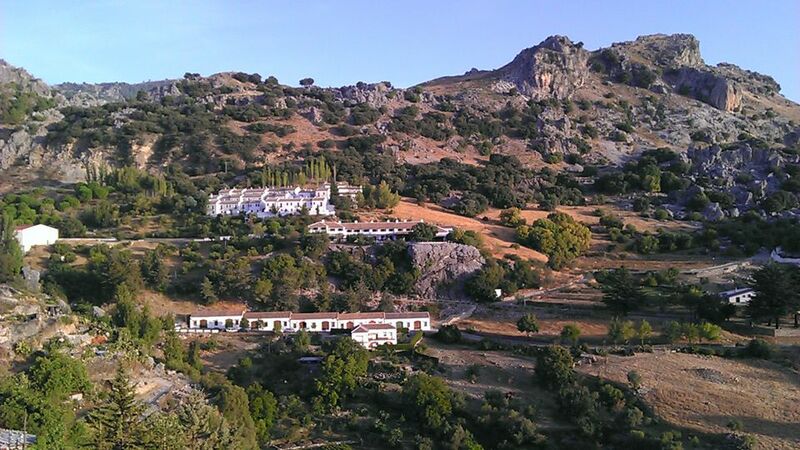 Only 200 m. from the house is Zahara de la Sierra Reservoir. Find your favorite creek and relaxunder the shade of the eucalyptus trees. 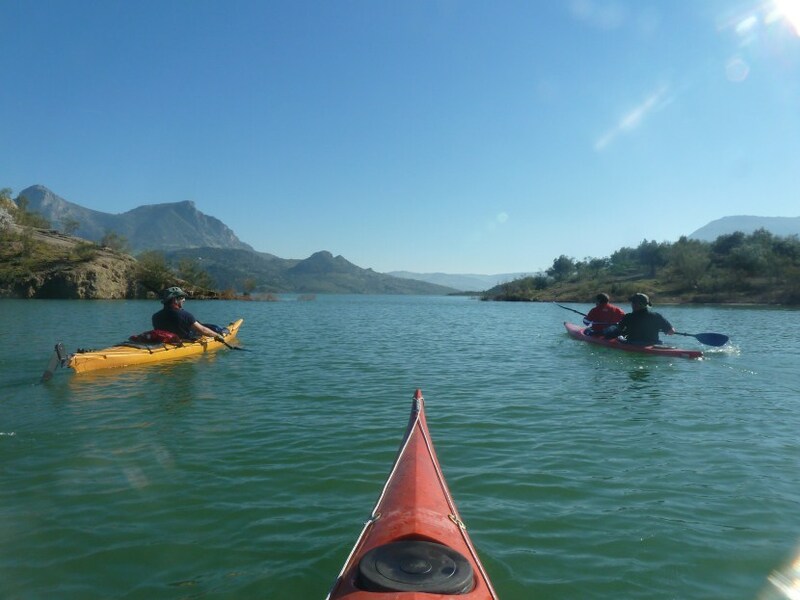 Zahara’s reservoir allows you to participate in several water sports. There are rental companies that provide you the necessary equipment to do so; canoes, kayaks, kyats, paddle surfing, windsurfing, etc…The mouth of the Guadalete riverfeeds into Zahara’s reservoir only 200 m. from the house, perfect for walking or hiking, and if you bring your own equipment you are just a short walk away from finding access to the reservoir. Cycling is great in the Sierra de Grazalema Natural Park. Professional, National and European cyclists train in the many rural roads of the Park with its uphill rides to the various mountain passes, making this sport into a real challenge. For those of us not so experienced…the road around Zahara’s reservoir is a much easier 7 km. bike trail, just 200 m. from the house. You can also go towards Grazalema (8 km. ), a great challenge among friend but it can get a bit difficult…you can always turn around. The Via Verde “Green Route” (Bike Path) of Sierra de Grazalema Natural Park and the Via Verde “Green Route” between the towns of Puerto Serrano and Olvera are exclusive bike trails, they run along the old railroad tracks with bridges and tunnels making them favorites among the youngest ones. Sima del Republicano, Cueva del Berrueco, Cueva del Gato y Cueva de la Pileta, are some of the potholes and caves most important in the area. Plan ahead of time and check the hours of operation and make sure you have the proper equipment. Besides hiking, there is also mountain climbing, caving, canyoneering, etc…There are several companies that provide these adventure outdoor activities, guided by professionals that will show you the Parks secret places, its flora and fauna. Among the most sought after birds of the Park are the Griffon Vulture, the Borelli’s Eagle, the Golden Eagle, the Peregrine Falcon and a myriad of them. Although not as stately they are equally beautiful. We can provide information on professional tours. The town of Algodonales is only 14 km. away from the house with its enviable conditions for practicing paragliding or hang-gliding. Professional companies handle the registration, equipment rental, classes, etc…for those dare devils out there. It is also a unique experience to see them take off from the top of the hill, for kids as well as for adults. For golf lovers, there is a great golf course in Arcos de la Frontera (45minutes’ drive from the house) “Arcos Gardens Estates and Golf Club”, a first class golf course. Is there anything more romantic than a hot air balloon ride? Well, Ronda has it! 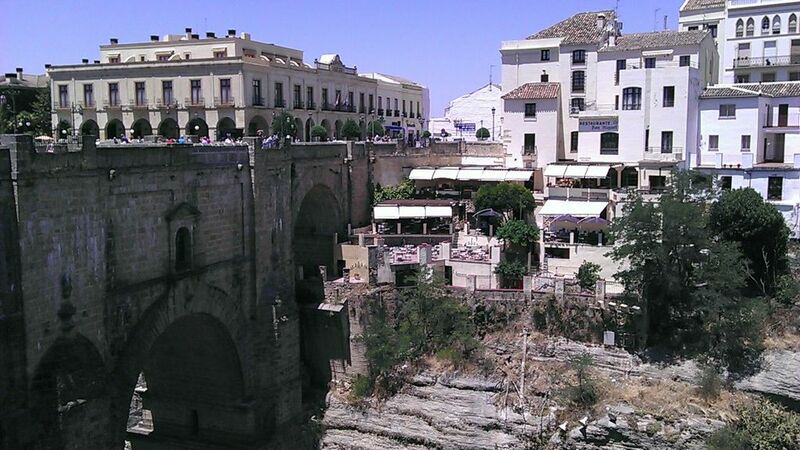 Ronda has the best public racetrack in Europe. You can rent a Formula 1 car or bring your own and see how fast you can go. Huerta la Terrona will provide you with as much information as possible to make your vacation a true magical adventure.